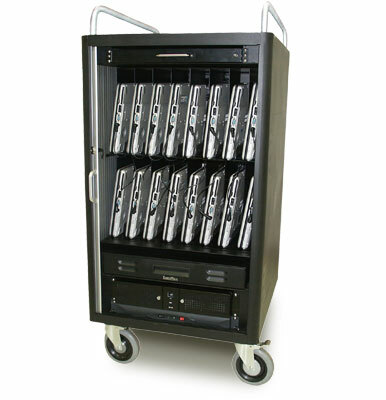 A Nor-Tech’s laptop charging cart is available for Laptops, Chromebooks and tablets (including both iPad and Android). 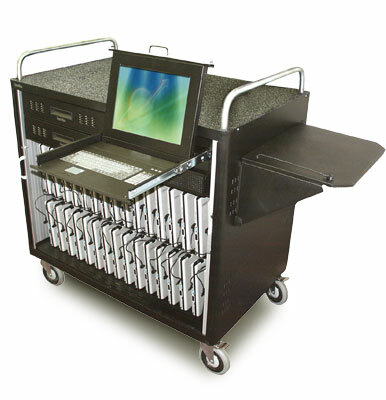 We offer a wide selection of Mobile Lab carts and crates, as well as charging options and accessories. Designed with input from tech coordinators and educators, Mobile Labs securely store and charge laptop computers, as well as power all your peripherals, from a single standard wall outlet. 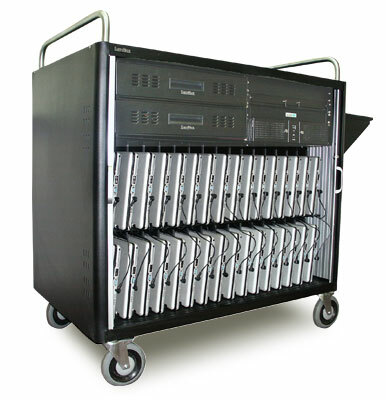 Nor-Tech’s laptop carts, Chromebook carts and tablet carts allow for the latest charging technology and accommodate all brands. Our total turnkey solutions can be integrated with both your existing wired and wireless environments. We also offer innovative power management so you don’t need to worry about overloading circuits and automated prioritization of the lowest charged units. Charging carts by Nor-Tech have available charging systems that can be powered by a single standard AC outlet, making them not only the most efficient solutions available, but also the most convenient. Store, secure, and charge laptops, Chromebooks, tablets (including both iPad and Android) and get them where they need to go with a computer charging cart from Nor-Tech. Keep them safe and secure with various locking options. Standalone or spare charging solutions also available. Deliver additional power at the desktop with unsightly and dangerous cords running throughout the room using our portable Side-Kick batteries and charging stations (available for most laptops). *Optional intelligent charging can allow for charging in excess of 40 units from a single outlet.